Does it take you forever to complete a crochet project? Maybe it seems like your crochet projects take too long to finish, and you’re wondering if that’s normal. Let’s take a look at some of the possible reasons that a crochet project might take a long time -- along with some ideas for getting your crochet projects finished faster. 1. You're Using a Fine Yarn or Crochet Thread. Fine yarns and crochet threads have both advantages and disadvantages. The advantages are numerous: using them tends to result in gorgeous, sophisticated finished projects. Notice that I didn’t say fast projects. Also, you can often find bargain pricing on fine yarns and threads. I want to make it clear that there’s absolutely nothing wrong with using fine yarns and threads for crochet. In fact, I highly recommend it – just not if you’re in a hurry to get a particular project finished. One of the greatest disadvantages to using fine yarn and thread: the projects grow slowly. It’s completely normal, and expected, for a thread crochet project to take a substantial amount of time. For quicker projects, in the future, try starting with patterns that specify thicker yarns – at least worsted weight yarn, maybe even bulky or super bulky weight yarn, depending on the project. You don’t have to do this for every project, but you will probably want to do this for the projects you’re in a hurry to finish. You probably don’t want to abandon finer weight yarns altogether; you just have to be willing to allocate more time for finishing the projects you make with them. 2. You're Using a Too-Small or Oversized Crochet Hook. My experience has been that using a too-small hook is the surest possible way to slow me down while using a too-large hook doesn’t compromise my crochet speed much. There’s one exception: If I’m working with a gigantic hook, in the size P or Q range, I’m pretty slow and clunky at that as well. Your mileage may vary, especially if you practice enough to get fast with hook sizes in either extreme. At any rate, you’re likeliest to be fastest with the hooks you use most often, and your speed generally will be optimized if you’re pairing your yarn with the correct hook size for the task at hand. 3. You're Using a Too-Flimsy Crochet Hook. I’m a quick and experienced crocheter, but the “quick” part only holds true when I have the right hooks in hand. When I crochet with a sturdy hook, I can turbo along at top speed, and I don’t think twice about yanking my hook or poking it through too-tight stitches and all kinds of surfaces. When I crochet with cheap plastic hooks, I’m forced to slow down for fear of breaking the hook. If you’re using a fragile or flimsy crochet hook, it’s possible that switching hooks could help to speed things up for you. 4. You're Using a Time-Consuming Crochet Stitch. All crochet stitches are time-consuming to some degree, but some are way more time-consuming than others. Generally speaking, easy solid crochet stitches tend to be more time-consuming than easy lacy stitches. For example, projects worked in v stitch are generally quicker than comparable projects worked in double crochet stitch. Lacy interrupted v-stitch, pictured at left, is a particularly quick stitch. Heavily textured stitches, such as puffs and popcorns, also tend to be time-consuming. You can balance that out a bit by incorporating open, lacy areas into the design, such as you see in this puff lace stitch with half double crochet vs -- but still, those are rarely going to be speedy stitches to use. Large areas of slip stitch are time-consuming to do, thanks to slip stitch's short -- almost negligible -- height. So are stitch patterns that incorporate large areas of slip stitch, such as this classic menswear stitch. While you probably don't want to avoid these wonderful stitches all together, it's best to avoid them when you're in a hurry and you want to finish your project quickly. 5. You're Working on a Project That's Out of Your Comfort Zone. It’s good to stretch your creative limits sometimes – but stretching beyond your comfort zone can require an investment of both time and brainpower, and it may be slow crocheting until you get comfortable with whatever new techniques you’re trying out. 6. The Project Isn't Holding Your Interest. It once took me, for real, six years to complete an afghan. The main reason? The project was so boring that I couldn’t stand to work on it for more than a square or two at a time. The takeaway here: the going can be just as slow on a too-easy project as it is on a too-challenging one. There are bunches of things more important than finishing crochet projects quickly. There’s not much you can do about the important distractions, but you can take control of the not-so-important ones if you choose. For example, if you crochet slower with the TV on, you can choose to turn it off if you want to finish your project faster. These aren't, by any means, the only possible reasons that your crochet might be taking longer than you want it to, but these are some of the most common issues I've encountered. I'd Like to open the floor for comments so that y'all can share more tips and advice on the topic of how to finish projects faster. We welcome your ideas and insights if you are inclined to share them. Thanks in advance to everyone who joins the conversation! I am sure it will be a helpful and informative discussion, and I look forward to participating too. How Long Does It Take to Crochet an Afghan? Here we discuss some of the longest-ever time frames for crocheting afghans. Don't miss the reader comments section, which is at least as interesting as the article itself, if not more so. How Long Does It take to Crochet a Baby Blanket? 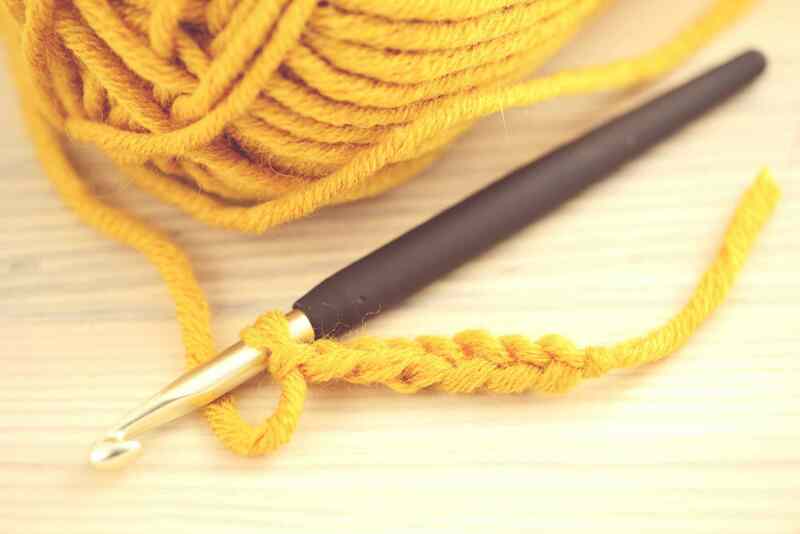 Everybody's answer to this question will be different, but still, you can get a rough idea of what to expect when you take into consideration all these insights, provided by our readers -- who are crochet enthusiasts with a wide range of different backgrounds and experience levels. See Also: Is It Possible to Crochet a Baby Blanket in 24 Hours? Our website is home to bunches of quick crochet patterns and easy crochet patterns, including granny squares, appliques, accessories, home decor items and more. Ironically, one of the quickest projects I designed, a pot scrubber, breaks guideline #1 posted above it's made (in part) using crochet thread. Still, it only took me about 15 minutes to make my sample scrubber. That's quicker than I could have gone to the store to buy a similar item if I had wanted to. Some of my flowers and beaded bracelets are super quick crochet projects, as well. Thanks for dropping by! I am so glad you stopped by today. It's fantastic that you're using the free resources our website has to offer; I hope you'll browse awhile, and make yourself at home here. Thank you for your interest, and happy crocheting.